Brisbane Girls Grammar School is one of eight Grammar schools in Queensland established under the Grammar Schools Act 1860 during the first session of the new colony’s first parliament and now operating under the Grammar Schools Act 2016. 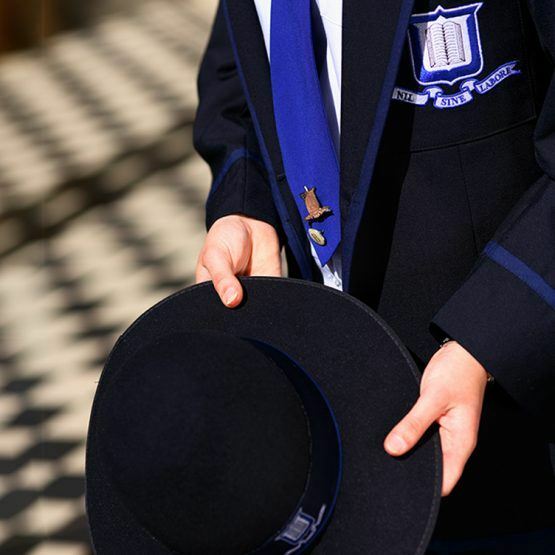 The Board of Trustees of Brisbane Girls Grammar School is the School’s governing body. It is accountable to the School’s community of stakeholders for the good governance of the School. The School is a statutory body formed under the Grammar Schools Act 1975 and the Board has direct accountability to the Minister for Education in Queensland. On 1 January 2017 the Grammar Schools Act 2016 came into effect and replaced the Grammar Schools Act 1975 with modern legislation that aims to meet the contemporary needs of the School. The establishment and regulation of the School, including the constitution of the Board of Trustees and the functions of the Board, are now provided for in the Grammar Schools Act 2016. Under the Act, the Board comprises at least seven but no more than nine Trustees, appointed every four years by the Governor in Council, including: three Trustees elected from and by the Roll of Electors; four Ministerial nominees, and up to two additional Trustees chosen by the Board and nominated by the Minister. The Board elects its Chair and Deputy Chair from among its own number and they serve in those offices while they continue on the Board for the four-year term. A Board Secretary, employed by the School, provides support to the Board in carrying out its governance functions. Trustees hold office for four years and at the end of that time are eligible for re-election or re-appointment. The Board of Trustees can be contacted via email. The Board of Trustees is responsible for the governance of Brisbane Girls Grammar School. The Board currently comprises eight Trustees, each of whom brings extensive experience, knowledge and skills to their role of guiding the School to provide the educational foundation for young women to contribute confidently to their world. 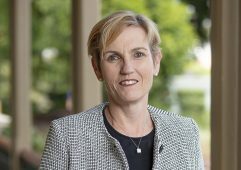 Julie McKay is a Partner and Chief Diversity and Inclusion Officer at PwC (PriceWaterhouseCoopers), and serves as Gender Advisor to the Chief of the Australian Defence Force. 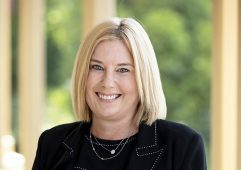 Ms McKay was Executive Director of the Australian National Committee for UN Women for nearly a decade and was named Young Australian of the Year in 2013. 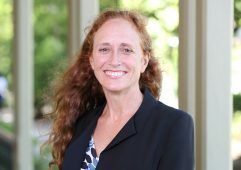 She has been Chair of Council at the Women’s College within the University of Sydney since 2016. Julie McKay is a past student of the School (2000). Ms Newton has more than 25 years’ experience in legal, management and commercial roles across the private and public sectors. She is currently Managing Director at Directors Australia, a national board consulting and non-executive director recruitment firm. Ms Newton has served on the boards of private, public and not-for-profit companies across aged care, education, childcare, energy, property and housing. She is currently a Non-executive Director of Energy Queensland Ltd, a state-owned corporation responsible for the distribution of electricity across Queensland. Ms Moore is Chief Financial Officer at A.P. Eagers Limited. Leading the company’s audit, payroll, treasury and information technology functions, Ms Moore is also an Executive Director of A.P. Eagers Limited, which is Australia’s oldest listed automotive retail group. With more than 25 years’ experience as a Chartered Accountant, Ms Moore has previously held the positions of General Manager (Global Corporate Finance) at Flight Centre and Associate Director (Advisory/Transaction Services) at PwC. Ms Moore is a past student of the School (1991). Mr Young is a Business Services Partner with BDO—one of the largest professional services firms in Queensland—specialising in expert business, taxation and accountancy advice. He has more than 30 years’ experience as a Chartered Accountant, providing assistance to a diverse selection of clients with a focus on significant family-owned enterprises across a range of industries. 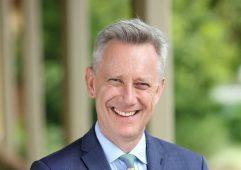 Professor Shoemaker is Vice Chancellor and President of Southern Cross University. 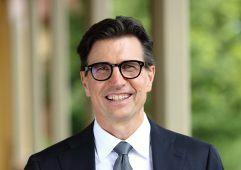 He has previously held the roles of Academic Provost at Griffith University, Deputy Vice Chancellor of Monash University and Dean of Arts at Australian National University. Professor Shoemaker is a member of the Queensland Curriculum and Assessment Authority (QCAA), which oversees Queensland’s Overall Position (OP) system, its involvement in NAPLAN and the development of the National Curriculum. Mr King possesses more than 30 years’ experience in the Australian corporate real estate market and holds specialist skills in negotiating, building high-performance teams and businesses, funds management and development. 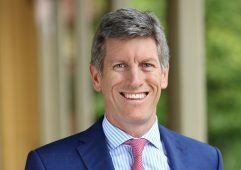 Mr King is presently on the Boards of Urban Futures Brisbane and Queensland Investment Corporation. Dr Nicklin is the Director of Gynaecologic Oncology at Royal Brisbane and Women’s Hospital (RBWH) and a Visiting Medical Officer at Wesley Hospital. Dr Nicklin completed his specialty training in obstetrics and gynaecology in Queensland, followed by sub-specialty training in Sydney and the USA. Dr Nicklin is an Associate Professor of Gynaecologic Oncology at The University of Queensland, and has previously served as Chairman, Australian Society of Gynaecologic Oncologists. 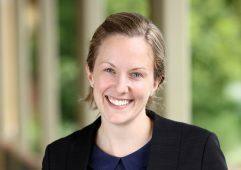 Diana Lohrisch is a corporate and commercial partner at leading independent law firm McCullough Robertson. She has more than 20 years’ legal experience advising on commercial transactions, capital markets, mergers and acquisitions and corporate governance across multiple market sectors. Ms Lohrisch’s clients include start-ups, SMEs and well established businesses and corporate groups. Ms Lohrisch is a past student and Head Girl (1989). The Board believes that it best serves the School’s present and future life by operating as a true ‘governing’ board (as distinct from a ‘management’ board or committee). This means that the day-to-day operations of the School are delegated to the Principal and, through her, to key members of staff. The Board, under its agreed charter, supports the Principal, and monitors her leadership of the School. The Board discharges its role primarily through the conduct of its regular meetings at least ten times per year, and through the regular meetings of the Board’s Audit, Risk and Compliance Committee, with additional meetings of the Board for specific purposes, such as strategy development, as necessary. the Board’s key functions, which include accountability to the School’s broad community of stakeholders, setting the strategic direction, ensuring appropriate risk and compliance controls are in place, and monitoring the financial management and the performance of the School generally, fundamentally through its strong relationship with the Principal. The current Board of Trustees will hold office until the expiry of their term in January 2023, or until such time as the Governor in Council appoints successors. The Board of Trustees comprises at least seven but no more than nine persons appointed by the Governor in Council, each of whom serves for four years. Four positions are nominated by the Minister for Education (presently the Minister for Education and Minister for Industrial Relations), three appointments are filled following an election process with candidates nominated from the School’s Roll of Electors (the Electors’ positions) and up to two additional members may be chosen by the Board and nominated by the Minister. If more than three nominations for the Electors’ positions are received, a poll to determine the three appointments is conducted by the Secretary to the Board of Trustees (the Returning Officer). Membership (whether it be by appointment or election) of the Board of Trustees carries with it a significant responsibility and involves a major commitment to the School. The Term of Appointment is four years. Membership of the Board is a voluntary activity and there is no remuneration for this commitment. The School’s Electoral By-laws, made under the Grammar Schools Regulation 2016 provide that any person making a single gift of at least $500 and less than $2000 will be entitled to vote in the electoral cycle during which the gift was made. The Board has determined that a person making a single gift of $2000 or more will be entitled to a perpetual or life vote. The School maintains a comprehensive Roll of Electors based on eligibility criteria determined in accordance with the School’s By-laws, and current and past provisions of the Grammar Schools Regulation 2016. Eligible electors will be offered the opportunity to vote in the Board of Trustees elections. Donations to the School’s Deductible Gift Recipient funds (Library Fund, Building Fund, or Education Fund Bursaries and Scholarships) are gifts to the School for the purposes of eligibility criteria. Donations to the School through the Australian Sports Foundation are not considered gifts to the School for the purposes of eligibility criteria. For further information regarding elections, please contact Secretary to the Board of Trustees via email or phone 07 3332 1309. Brisbane Girls Grammar School is governed by a Board of Trustees consisting of up to nine members appointed by the Governor in Council: three elected by subscribers or donors to the School; four nominated by the Minister for Education and Minister for Industrial Relations, in consultation with the Board; and up to an additional two members chosen by the Board and nominated by the Minister for Education and Minister for Industrial Relations. 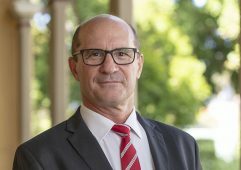 The School is pleased to announce that the Minister for Education and Minister for Industrial Relations has advised of the reappointment of Mr Tony Young, Professor Adam Shoemaker, Mr Andrew King, Ms Julie McKay, Dr James Nicklin and Ms Kerryn Newton and the appointment of Ms Sophie Moore and Ms Diana Lohrisch to the Board of Trustees. Biographies for each of the Trustees are available on this website. Ms Julie McKay has been elected Chair of the Board of Trustees, Ms Kerryn Newton has been elected Deputy Chair and Ms Sophie Moore is Chair of the Audit, Risk and Compliance Committee. As we enter the 144th year of Brisbane Girls Grammar School, we are confident that the strong governance and stewardship of the School will continue during the next four-year term, building on the significant work of the previous Board of Trustees. If you would like any further information regarding the role of Trustees or details regarding the election process, please contact the Secretary to the Board of Trustees by email or phone 07 3332 1309. Brisbane Girls Grammar School’s Strategic Design 2016-2019 articulates the vision for the School and provides for its continued leadership in the delivery of an exemplary broad, liberal education for girls. You can view this document online, or download below. The materials presented on this site are provided for information purposes only. Users should note the electronic versions of the Annual Report shared on this site are not recognised as the official or authorised version. The official copy of each Annual Report, as tabled in the Legislative Assembly of Queensland, can be accessed via Queensland Parliament’s tabled papers website database. Archived Annual Reports are also available to view. In order to comply with Section 13.3 of the Annual report requirements for Queensland Government agencies, the School’s Government body reporting template is available to download below.